FILE PHOTO: Silhouettes of mobile users are seen next to a screen projection of the Facebook logo in this picture illustration taken March 28, 2018. REUTERS/Dado Ruvic/Illustration/File Photo (Reuters) - Facebook Inc’s social networking site, photo-sharing social network Instagram and messaging app WhatsApp were inaccessible to some users on Sunday, downdetector.com, which monitors outages, showed. Users took to Twitter to complain about the outage, tweeting jokes and comments along with the #facebookdown, #whatsappdown and #instagramdown hashtags. “#facebook #instagram and #whatsapp are both down so I guess I have to socialize with my friends now,” @Danny_muscat tweeted. 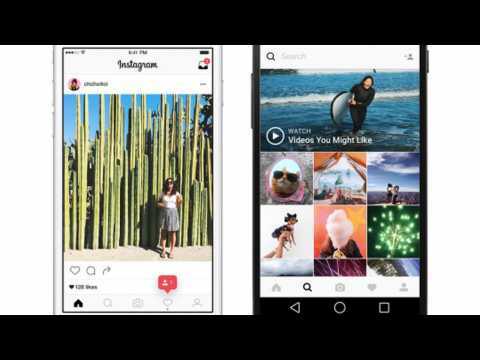 Instagram has now hit 1 Billion downloads in the Play Store.After the Facebook app, then WhatsApp, then Messenger, Instagram is the fourth of Facebook's apps to get 1 billion installs.In August, the Instagram launched Stories, a new, Snapchat-like feature that enables users to create temporary slideshows which disappear in a day. Facebook founder and CEO Mark Zuckerberg announced at the F8 developer conference the latest updates to come from the social network’s universe. Zuckerberg gave a glimpses into what to expect from WhatsApp. On May 1 we heard that WhatsApp would be getting group video calling. The Android and iOS apps will allow users to create video calls with up to four people at once. WhatsApp will also be offering support for stickers in the months ahead. Shortly after the original announcement, WhatsApp’s version 2.18.51 for iOS added support for Instagram and Facebook video playback. The app update also featured new group administrator functions. If you’re the group admin of a group, you can now revoke rights from other participants. And you can now change a group’s subject. On Palm Sunday the internet faced chaos when Facebook, Instagram and Whatsapp shut down. For almost three hours thousands of users were unable to access their accounts. According to Digital Trends, the problem happened mostly in Europe and Northeastern U.S. Nearly 15,00 people reported issues with the sites, such as being unable to log in and access their newsfeed. Facebook told the media that the issue was resolved and apologized for the inconvenience. 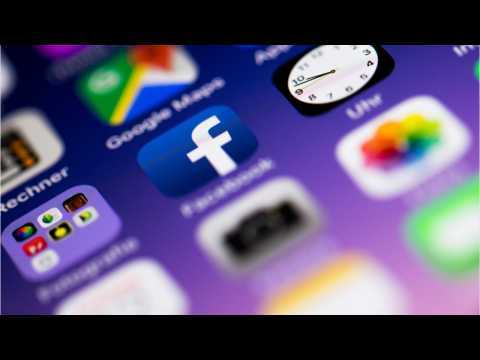 Facebook could soon offer users an option to post the same Story to three networks that are all owned by the tech giant. Instagram recently confirmed the testing of a tool to cross-post Stories as a WhatsApp status. After users in Brazil spotted the new option, Instagram confirmed to Tech Crunch that the feature is currently in testing. Like the option to post an Instagram Story to Facebook Stories, the tested tool would allow Stories to also post to WhatsApp, where they would live as a status. While both Instagram and WhatsApp are Facebook-owned, that accessible code shortcut is what’s currently making the cross-posting possible for users who are included in the test. Imagine this situation: you're supposed to meet your friends for a fun night out in a city you're not really familiar with. So you use WhatsApp to set up a time and place to meet, then use the navigation app to find your way there, or order a taxi. Once you've arrived at the party hotspot, of course you take some selfies to post on social media, maybe give your phone number to a cute guy or girl and once the night is over, you check your calendar to set a date for the next night out. Almost all of this wouldn't be possible if you're missing one thing: your smartphone. According to Business Insider, Instagram is considering a change to the app where the number of likes on your posts would be hidden to everyone besides yourself. A spokesperson for Instagram said, "Exploring ways to reduce pressure on Instagram is something we're always thinking about." This test echoes similar sentiments recently expressed by Twitter CEO Jack Dorsey. At TED 2019 Dorsey said that if he could go back and start over with Twitter, he "wouldn't even have a like count in the first place."